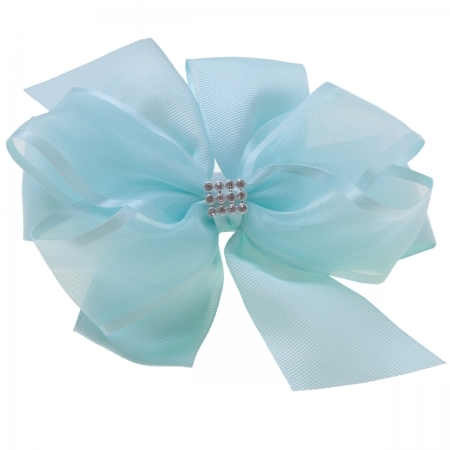 Large (6 inches) baby blue gros-grain ribbon and organza bow. Diamantes in the centre. the blue ribbons are are 1 inch wide. Firm crocodile clip at the back.